There were silver birches lining the way in. There were slate stone plates for bread and black lava salt to go with the grassy delicious olive oil. There was a wonderful taste journey from Norway to Iceland to France to the UK. And to finish there was the softest creamiest skyr I have tasted, both chilled and frozen. 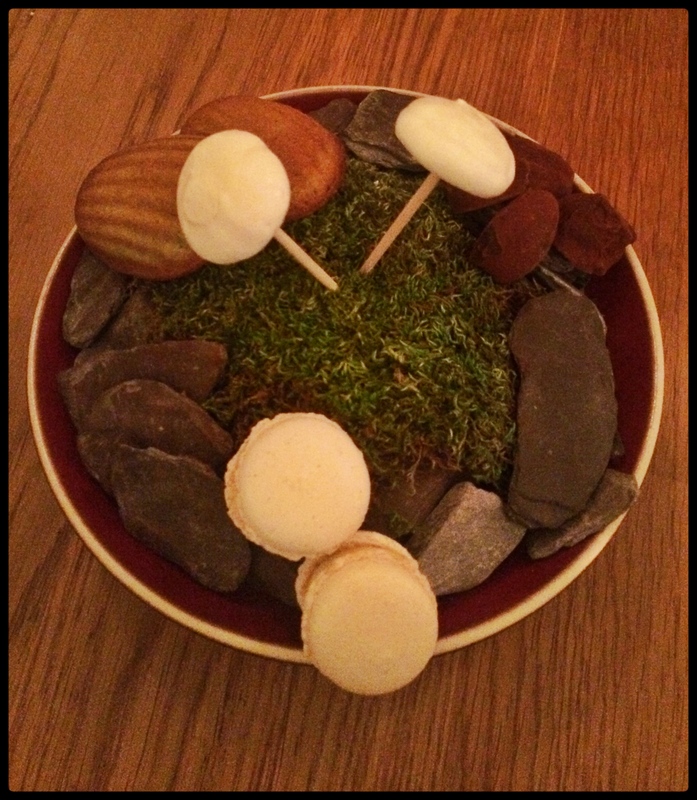 And when we thought the journey was over there were warm, soft pistacchio madeleines, cinnamon truffles, and Fisherman’s Friend macaroons, all tucked into a little moss-covered bowl. And just as we were about to leave, someone pushed little pouches with more cinnamon truffles into our hands. Oh yes, I think the Icelandic chef of Texture has many new friends in my taste buds. Categories: Travel | Tags: food, United Kingdom | Permalink.